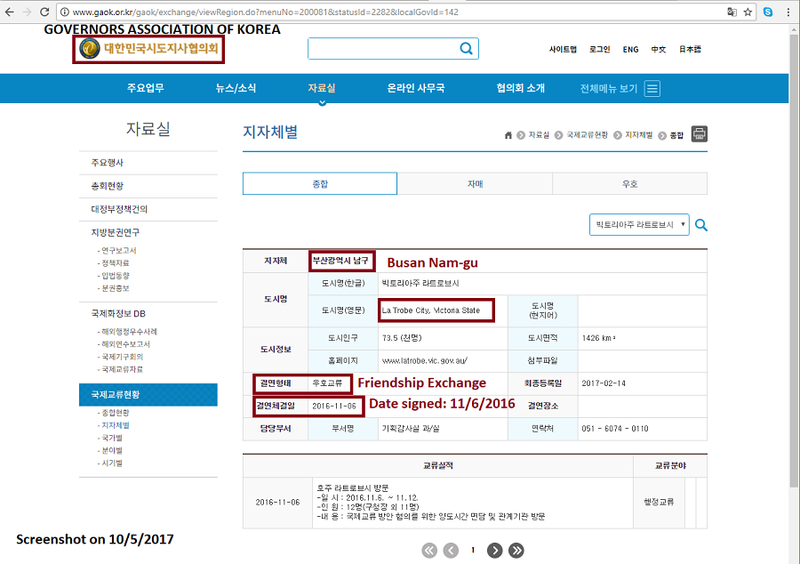 [Update] Latrobe, Australia not Friendship City with Busan Nam-gu. Home / Blog / [Update] Latrobe, Australia not Friendship City with Busan Nam-gu. We have received a response from the city of Latrobe, Victoria, Australia regarding our campaign/petition: Mayor Kellie O’Callaghan of Latrobe, Victoria, Australia: Tell Friendship City, Busan Namgu, South Korea, That We’re Opposed to the Torture and Consumption of Dogs and Cats. The city of Latrobe informed us that they do not have a Friendship City relationship with Busan Nam-gu. Our campaign was created based on the information from the Governors Association of Korea’s database, but it seems that this is an error. 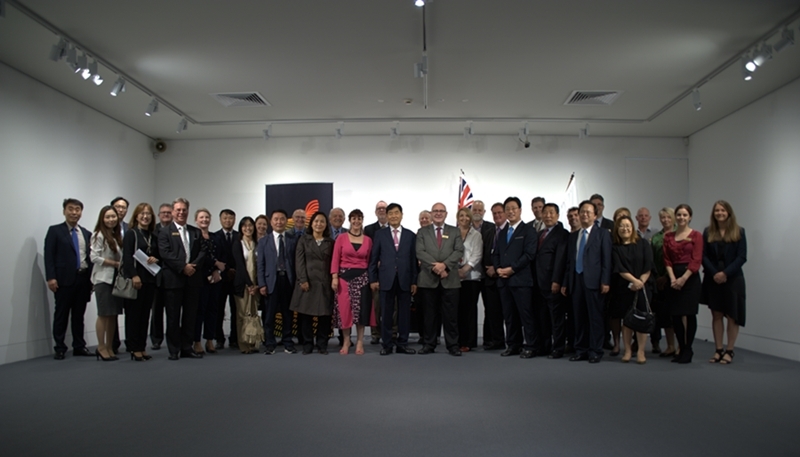 Busan Nam-gu government representatives visited Latrobe in November 2016 to explore the possibility of Sister/Friendship relationship. Click HERE to learn more about this visit (in Korean). Photo: Busan Nam-gu. November 2016. “Busan Nam-gu, Latrobe, Australia takes first step towards Sister City relationship”(Title in Korean: 남구·호주 라트로브시 자매결연 `첫단추’). We will close our campaign now. We appreciate the city of Latrobe for responding to our petition. We are also grateful to all of our supporters who have taken action to give a voice to the Korean dogs in the meat trade. it is a very good news !! !